This blog from our friend Lindsay Schubiner at the Center for New Communities is already a week old – but still worth a read. Because sadly, the influence of professional Islamophobes like Daniel Pipes is going to still be with us. Dehumanization is the backbone of both Islamophobia and Israeli policies that further agendas promoting violence and military occupation. Pipes blatant deployment of dehumanizing rhetoric exposes how support for Israel and Islamophobia work hand in hand. We know that key islamophobes like Pipes are fully behind the right-wing Israel agenda, and it is our obligation to stand against them and their hateful ideas. Reps. Ron DeSantis (R-FL) and Bill Johnson (R-OH) have teamed up with an architect of the organized anti-Muslim movement to hawk policies that weave together anti-Muslim sentiment with militarist Middle East foreign policy proposals likely to defy the Geneva Conventions. Pipes’ advocacy–both foreign and domestic–has a common thread: support for collective punishment and a blatant disregard for human life. Pipes’ wildly anti-Muslim domestic positions are founded on a similar ideology of collective punishment. He argues that in the U.S., Muslims should be surveilled and racially profiled because “while most Muslims are not Islamists and most Islamists are not terrorists, all Islamist terrorists are Muslims.” This cavalier suggestion that people should have their civil rights violated because they share a religion with those who have committed crimes could hardly be more chilling. These views would be toxic to most elected officials, but apparently not to DeSantis and Johnson. Both have troubling anti-Muslim records of their own. Earlier this month, DeSantis gave an interview to Breitbart News, the far-right media outlet known for promoting white nationalist “alt-right” rhetoric, in which he supported designating the Muslim Brotherhood as a terrorist organization. In fact, both DeSantis and Johnson co-sponsored legislation to do just that. Not only is this policy steeped in anti-Muslim conspiracy theories, but it also seeks to vilify Muslim civil rights leaders and stifle Muslim American civil society. Johnson has also been vocal in his support of Trump’s Muslim travel ban, a policy so overtly driven by bigotry that the courts have shut it down. 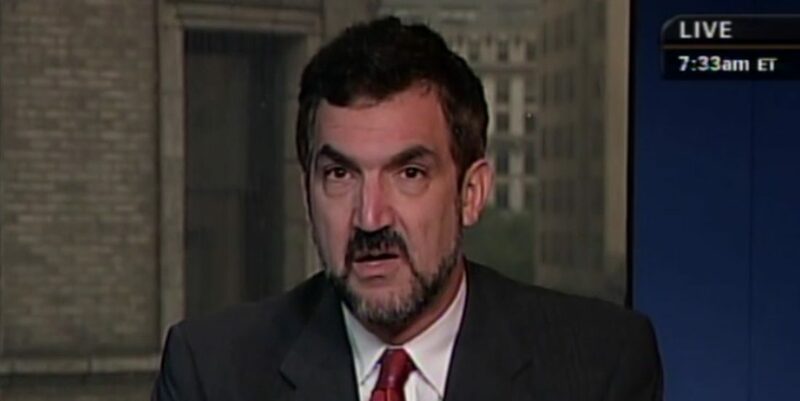 It’s terrifying that Daniel Pipes and his racism have gained a platform in Congress. What would be worse is if he is met with silence. Lindsay Schubiner is the Interim Advocacy Director at the Center for New Community. This post was co-authored with Imagine2050 staff.